Fanti Town, West Point – Agnes Jabbah is a great admirer of President George Manneh Weah. She voted for him in last year’s presidential elections and is praying for his success. Like most residents in this slum community, she wakes up every morning to buy fish from artisanal fishermen. So, when news surfaced last week that the Weah-led government had signed a fisheries agreement with its neighbors, Senegal, it caught her in her tracks. As far as Jabbah is concerned, the move spells danger and is a risky business that could starve she and her children. “Weah is our son and we like him,” she says. “This is why we carry him, (voted him), but he must not seek our downfall, by bringing the Senegalese boats to take our fish. I am in George Weah’s interest but this one he is bringing now, is discouraging me, because if they bring the Senegalese people to take our fish, how do they expect we the poor people to get our children daily bread and send them to school? 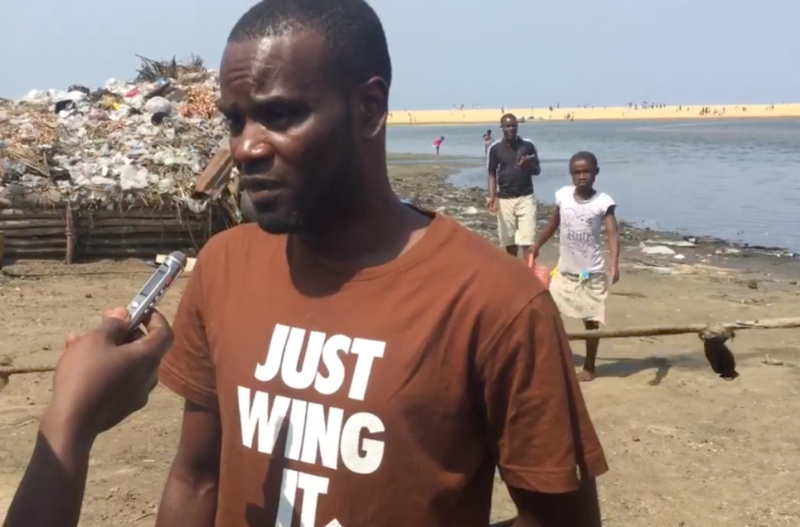 So let those fishing boats remain where they are and not come to Liberia,” the Fanti Town resident told FrontPageAfrica. 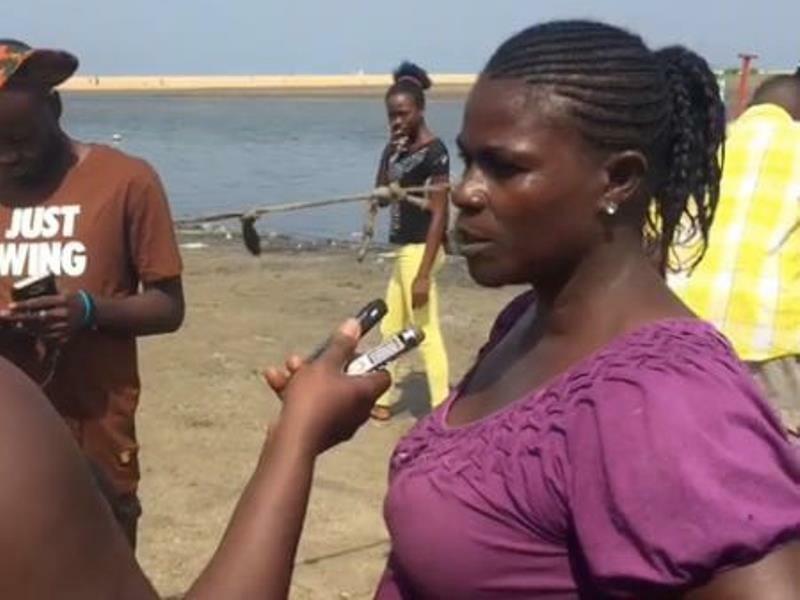 Jabbah further lamented that when the Senegalese start fishing on the Liberia’s waters, they will catch all the fish and deposit them into a cold storage thereby forcing poor folks like her who don’t have money to buy fish anymore. As it stands now, Jabbah says she can only afford to buy a pan of fish daily to enable her feed her family. Jabbah was among many who gathered in little groups to express their dissatisfaction over the recent fishing deal with Senegal, as they gathered at the fishing service station to buy their fishes from local fishermen. “Liberia and Senegal signed a deal. Liberia allocates 300 fishing licenses (in its own water) for Senegalese fishermen for five years. 200 for artisanal fishing; 100 for semi-industrial fishing. In exchange Senegalese will give advises to Liberia to fight against illegal fishing,” Radio France International reported. Marie Sneh, a fisherman’s wife and mother of seven sells fish to enable her to send her children to school. The new fishing continues to draw ire from the commercial fishing community of West Point; one of the biggest fishing communities that supplies fishes to restaurants, Hotels, canteens, businesses and citizens in Monrovia. Their fear is that when the fishing vessels come from Senegal it will deny them of fishing for a living. Gwendolyn Pupo, Chairlady for the West Point fishing service station, also expressed her dissatisfaction over the agreement that will see Senegal sending fishing vessels on Liberia’s waters. Eric Kwahin, the Chairman of the Fishing Station in West Point agrees that that the Akin and Borbor vessels made it difficult for artisanal fishermen to catch fish. He adds that when the big fish are ready to lay their eggs, they will leave from the deep sea and come to their ensured territory, but the two vessels would then enter into their territory and throw their nets that will drag and carry all the fish along with their eggs intended for fish in the future. The Weah-led government has meanwhile sought to provide clarity on the issue. Ms. Emma Metieh Glassco, Director General of the Fisheries and Aquaculture Authority said, the Senegalese government will pay sixteen times of what fishermen are paying for the same value of fish in the same quantity of the vessels. And the monies will be used to build the economy. “The economy is not built on free things. Fish is resources like gold and diamonds are and other people use fish to build their economy. This agreement will make fish available on the local market at a reduced price. Let me make it clear that we will not license three hundred vessels as claimed, but over a period of time, we will not license more than three hundred depending on available fisheries resources according to the agreement.” The Fisheries boss further clarified that the six nautical miles is reserved for local fishermen and it is still intact, adding that there will be no industrial boats that will come into the reserved six nautical miles. Ms. Glassco said she does see why Liberians should making a big issue of the recent signed agreement when Liberia has never been able to stand on her own, when it comes to fisheries but depend on other countries. “We have over seventy vessels over our waters and all are foreign vessels, so I am surprised that since 1847, Liberian has never had her own vessels to fish on our waters, but we depended on foreign vessels from Greece Italy and now Asia,” she said.